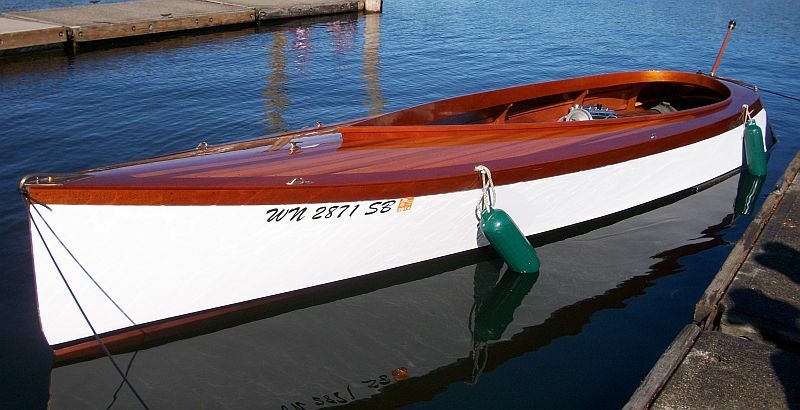 Our newest listing: A charming reproduction 1902 “Fairbanks” design Drake Tail Launch, 21 ft, built in 2013. 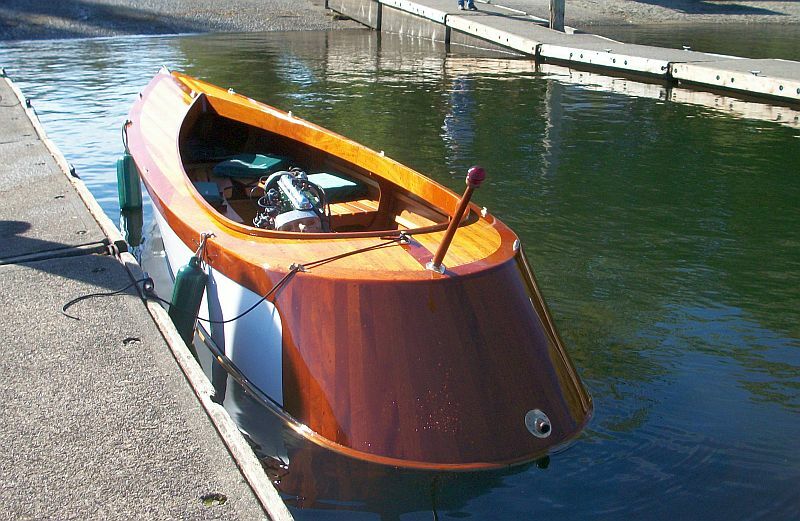 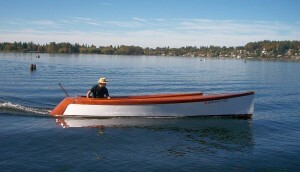 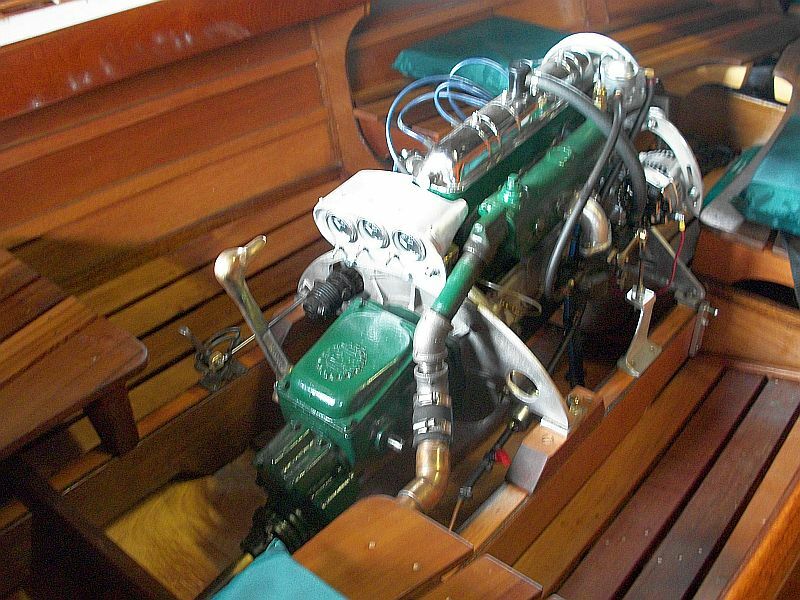 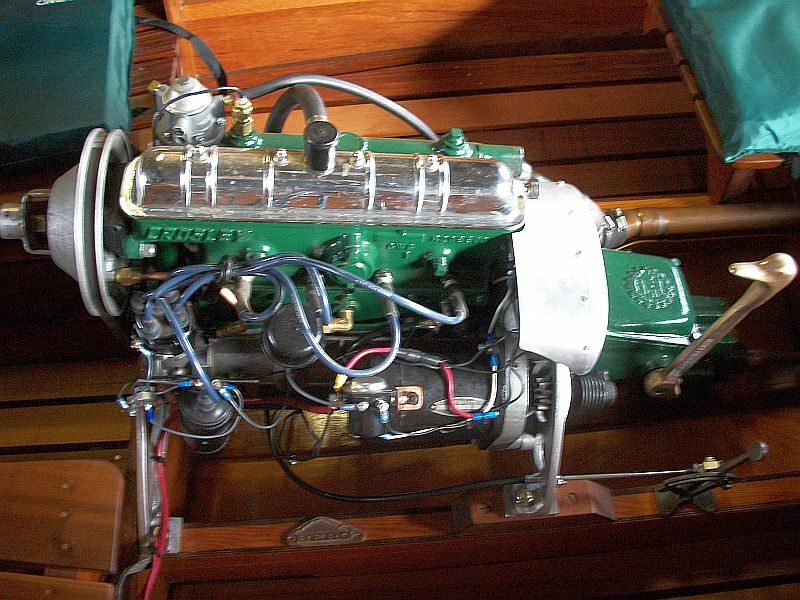 “Lagrima” was designed by David Berg of Bellingham, Washington, after a race-boat from 1902. 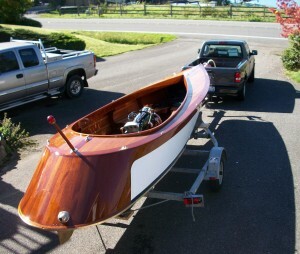 Her sides are 1/4 inch mahogany plywood and the bottom is 3/8 inch ply. 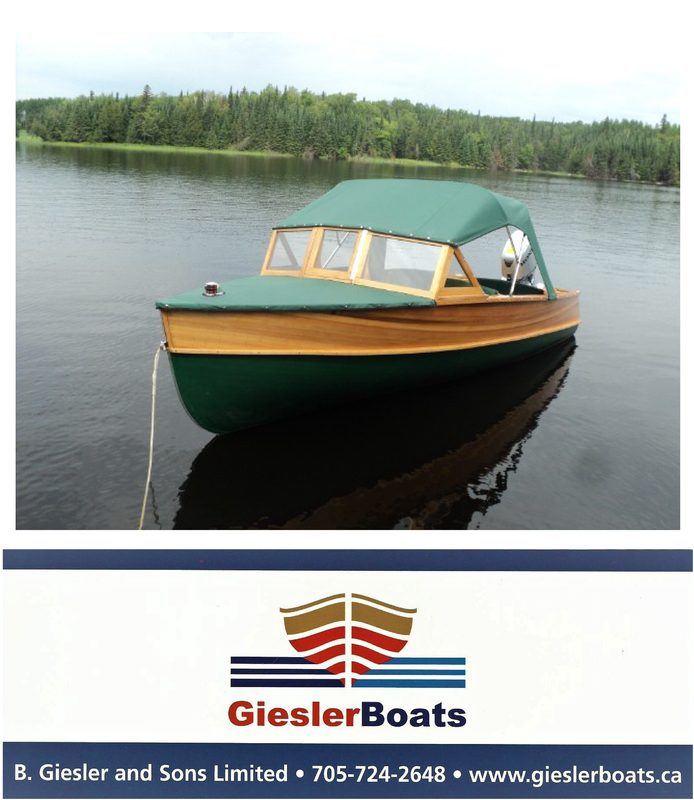 The decks are red cedar over 1/4 inch ply with book matched cover boards. 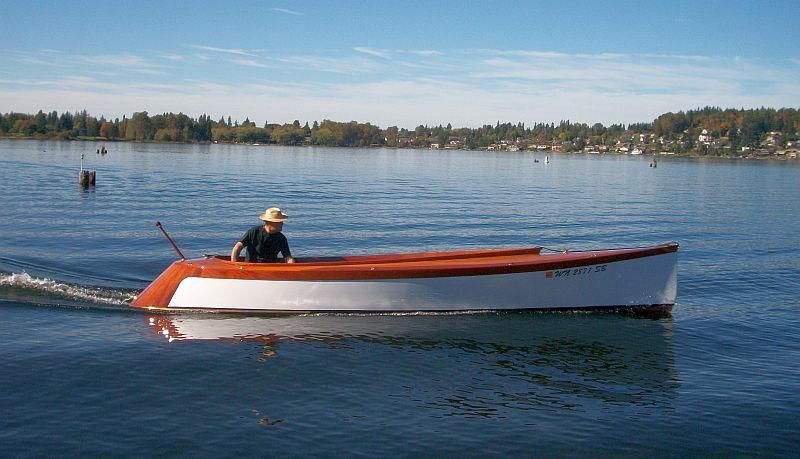 The launch is powered by a 1950’s Crosley Marine, 26 hp. engine, (in good condition) and will provide a speed of 18 mph. “Lagrima” is virtually new. 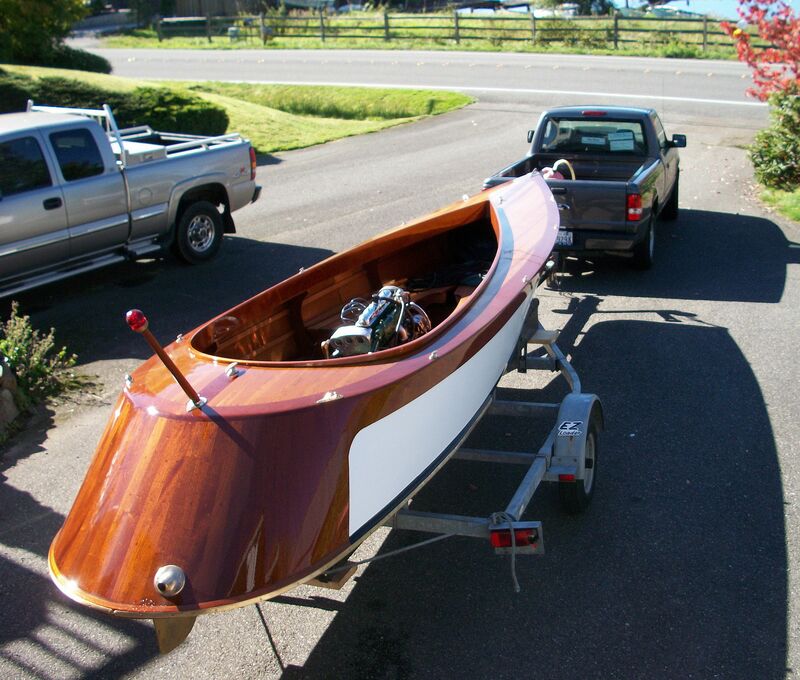 She comes complete with a single axle trailer.